hd00:26Spoon in a hands of a baby. Young cute boy has a spoon in his hands after he eats and he is dirty all over his face in the kitchen. hd00:35Girl playing with cellphone and doing selfie - in slow motion 2x. hd00:18Tapping on a table. 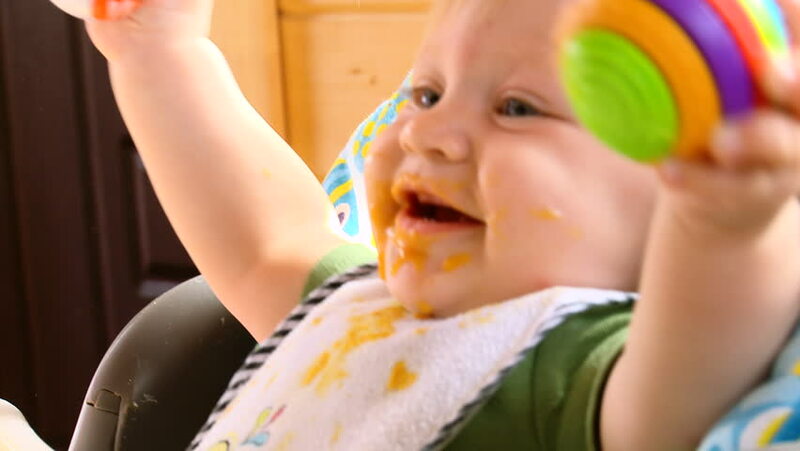 Young boy slamming his hand on the table dirty with food and he is happy and smiling ,footage in slow motion.